For years CPAP/BiPAP users have had to live with the annoying and sometimes sore and painful red marks caused by mask headgear and straps. Now, from the makers of the Snuggle Hose, comes a convenient, comfortable, soft solution: the SnuggleStrap. 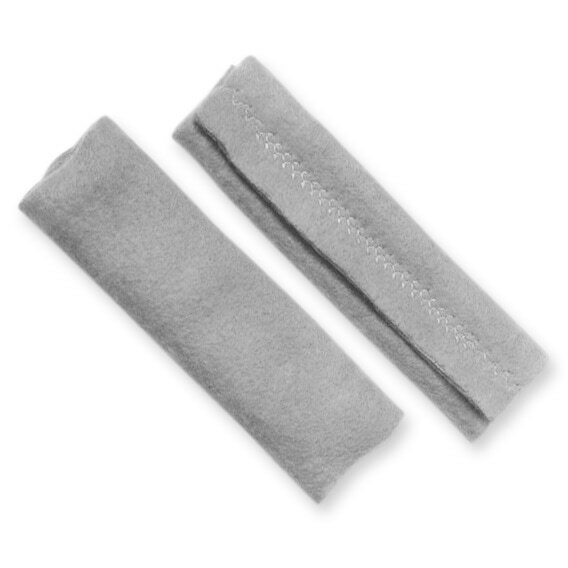 Snuggle Straps are soft, breathable, fleece strap covers which can easily be slipped onto most CPAP/BiPAP masks with strap headgear including models from Respironics, ResMed, Fisher & Paykel, Puritan Bennett, etc. 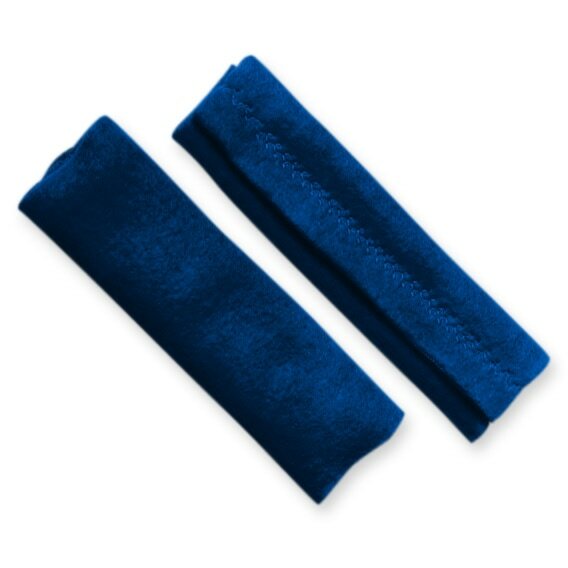 The SnuggleStrap is made of soft fleece so they will not cause marks on the face and they feel much softer and gentler on the skin than standard headgear straps. 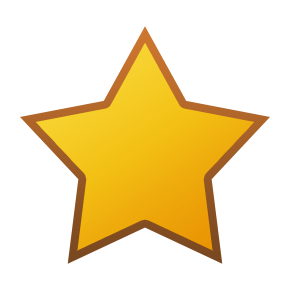 Finally a good night's sleep and no red marks in the morning! 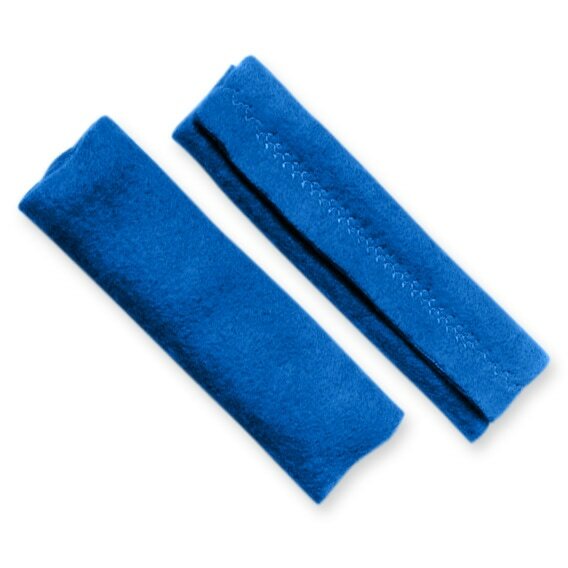 Usage Information: SnuggleStraps are made of durable, hypo-allergenic, fleece fabric with Velcro pads to secure the each strap around your headgear. SnuggleStraps are machine washable in cold water on a gentle cycle. They should be air dried or machine dried at a low heat. Compatibility Information: SnuggleStraps are wide enough to accommodate headgear straps up to about 1.25 Inches wide. On masks with thinner straps SnuggleStraps may feel very loose. COMPATIBILITY NOTES:SnuggleStrap Wraps will work with any mask that uses standard four-strap headgear including the ComfortGel, ComfortClassic, Profile Lite, Ultra Mirage, Mirage SoftGel, Mirage Activa, Mirage Activa LT, FlexiFit 405, Aclaim 2, FlexiFit 407, FlexiFit 431, FlexiFit 432, EasyLife, EasyFit, Mirage Micro, and all similar masks. 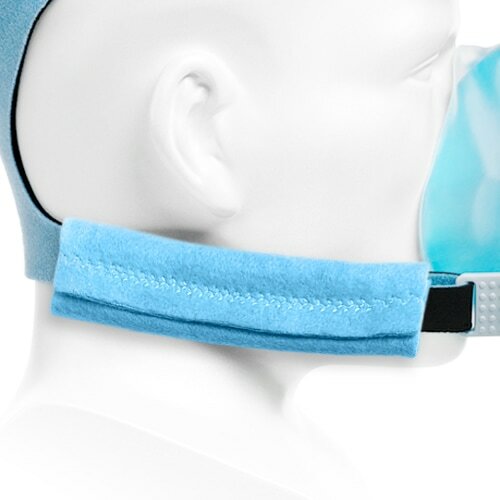 SnuggleStraps WILL NOT work with some nasal pillow masks and masks with alternative headgear designs like the Swift, Breeze, Oracle, Nasal Aire II and similar masks. I actually bought the fleece strap covers for my oxygen cannula and it works great! I received my order very promptly. The fleece strap is comfortable, east to clean and reinstall. A great product at a great price. I highly recommend it. This strap has made my head gear more comfortable! Less face imprints are nice. For years I have woken with oxygen tube impressions on my face- ugly lines. These covers are soft , comfortable and easy to apply and best of all, no lines on my face in the mornings! I will recommend this product ! Comfortable - NO MORE STRAP FACE MARKS!!!! Comfortable - NO MORE STRAP FACE MARKS!!!! THANK YOU!! I bought these to resolve the issue of strap indentations left on my face in the morning. These straps were better and thicker than another pair I had bought, but I still have marks on my face in the morning. These strap covers get rid the the cheek marks. That said the item could be improved a bit. The velcro strips could do with some reinforcing. I don't see them holding up with regular undoing to remove them from cpap straps. Therefore I will leave them on the straps and hope for the best. For the price I expected there would be some quality--not the case. Just a piece of scissor cut cotton felt--and a strip of Velcro. Really a rip off--I'd advise you just make your own. These pads are great! Due to high pressure requirements, my mask has to be really tight. After using these pads, I have no more marks on my face. Highly recommended! No matter what strapping was used, I always woke up with creases on my face. Tried soft cloth and other fillers. Bought this because it was minimal fuss. They worked. They stay put. They are soft. No creases on my face. As a new CPAP user I was thrilled to find these strap covers which eliminate ALL marks left on my face from the straps. The marks would last for hours. These covers feel soft & no more marks. Wish I had known about these when I first got my machine & not months after. I would gladly recommend these for anyone who has this problem. Choice of colors was a plus for me as well. Read all the reviews prior to purchasing. A little hesitant to purchase. So glad I bought it. I have a petite size headgear. No problems keeping it on. Maybe a slight adjustment needed when fastening the headgear on at night. No more face creases! And the width of the product has no impact on its effectiveness. Straps didn't fit mask anywhere close to what expected. I don't usually write reviews, but I would like to let people know that these strap covers are really worth a try. I was worried about the straps from my mask making permanent indentations in the sides of my face. I had loosened the mask as much as I could, and this was still a problem because I am a side sleeper. These straps are very soft and I'm glad I bought them. I did buy a softer pillow, too, but I really think these strap covers make a difference. I no longer wake up with the marks on my face that I had before. 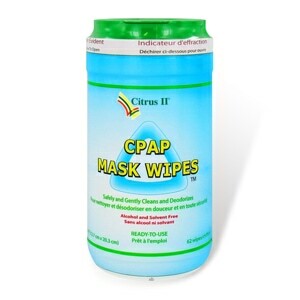 They aren't of the best made quality but they do the job as far as making a CPAP mask slightly more comfortable, if there is such a thing, and it does help eliminate strap marks which I'm sure we all hate. I bought 3 sets of these and they are the worst I have ever used. Very lightweight material and the Velcroe is terrible. Don't waist your money. Buy 4 and put one inside the other and it works well. I have a full face harness and you have to take the velcro off every time you need to adjust the mask. I actually use the snugglestrap as a cover for my Bella headpiece. It just fits around the 2 straps of the Bella which fits around the ear. I found the straps uncomfortable until I put the snugglestrap around them. Now they are quite comfortable and don't leave marks on my cheeks! Love the snugglestraps! Delivery was very prompt. I'm not very impressed with the covers, but they do the job. They are flimsy and not that well made. I really do like the snuggle strap because it helps to decrease the lines on my face in the mornings, however I do wish that they would stay on the straps better. When I take my mask off during the night for any reason, the covers have a tendency of slipping off of the mask straps. I have been trying to figure out how to avoid those lines on my face from the CPAP mask. This product is what I have been looking for. I have been using it and no longer have lines on my face in the morning. It is very comfortable and I am extremely pleased with it. Prevents strap marks on your face and makes the mask feel more comfortable! I found this item online and it has worked beautifully for me. I use to wake up with marks on my face from the CPac mask. With the SnuggleStrap Fleece Strap Covers no more indentations or red marks on my face. The only complaint I have is that they tend to be a little large and slip around when I move around during the night. Wonderful inventment to cover CPac headgear straps. This is the first store bought product I have tried to prevent the strap marks on my face. As my mask gets more used, I have to keep tightening my mask to keep it from leaking--which leaves more marks. I was just putting a piece of cloth between my face and the strap to help, but I saw these recently and decided to try. They serve the purpose. I like the way it wraps around the side with Velcro so it is always on. At least this is good for one side. The other side that I use to remove the mask--not so good. These things are too long to allow me to put on and remove the mask with the covering on my strap. So I could only use it if I put it back on after I put my mask on. So right now I am only using one at a time. Maybe I'll just try cutting it down so that I can get full use of it. For the first time in 5 years I woke up with no mask lines. Can't speak to quality but worth what I paid for them. This was a great idea!! They really help with comfort and do not leave the nasty red marks that the straps usually do. They are easily adjustable, easily cleaned and look nice. 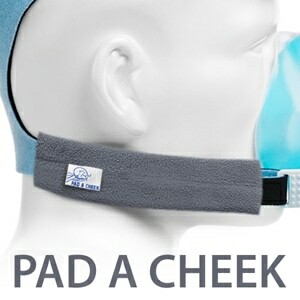 A must have if you are on a CPAP mask! They really do help with the impressions left by the straps, but now that they've increased the price to this, I will have to go buy some fleece and make my own. Suggestion: if you do buy some don't use the velco to unfasten them, just slide them off and on or else you will tear them up pretty fast. I've been buying straps for my CPAP for years. I tried these based on the pictures and description. First, if you are a healthy CPAPer you clean your hose and headgear EVERY day. You NEED straps with velcro on them so you can remove them every day to clean the gear. The velcro on these is really narrow, cheap, and has already started separating from the fabric after just one week of use. Also, the material is very thin (presumably a desirable trait), but I'm finding I prefer the thicker more robust material of other straps I've had over the years. Lastly, these are WAY overpriced for the junk they are. Should be about $6 with $2 shipping. Any cost over that is just plain thievery. I love these straps! My second purchase. They last forever and really alleviate the ugly strap marks. Great service. The strap covers are great. I no longer have to worry about having strap marks when I go out in the morning. great to have new replacement equipment at a great price. no leaks, less noise, better sleep.